I’m a big fan of the Consumerist after they helped me with a problem once before. No company is immune to making huge PR gaffes and what Brooke is going through sounds pretty horrendous. The whole story is at the Consumerist but for three months, Brooke has been without her Limited Edition Joy Division Zune. Its bad enough that Microsoft was taking forever to fix her bricked Zune. On top of that, they lost it. Yep, they lost her Zune. And in one of the most insulting attempts I’ve seen in a while to make it right for Brooke, the customer service rep didn’t offer to replace her Zune with another Joy Division Zune. No, the offered to replace it with a standard 80 GB model. Hop over to the Consumerist for the whole story. 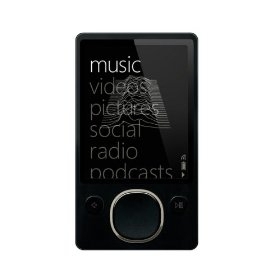 I hope that Microsoft gets their act straight and gets her back her Zune or a Limited Edition replacement. UPDATE: Well it looks like Brooke has been very well taken care of in this update from the Consumerist. Its a shame that it came to this but at least Microsoft did things right in the end.